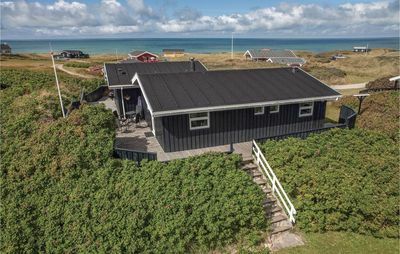 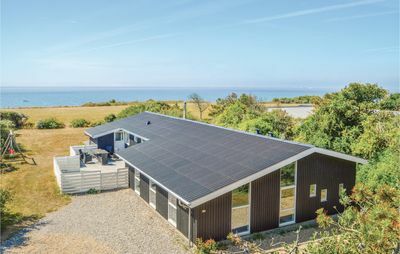 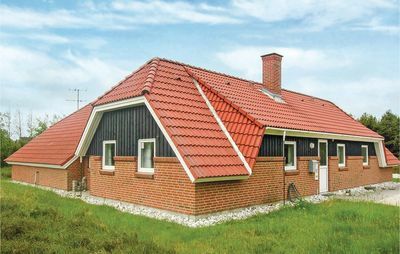 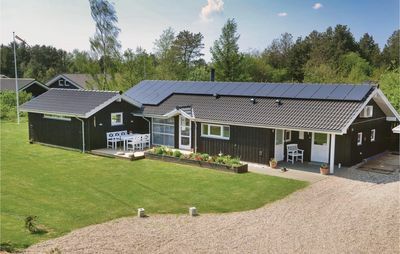 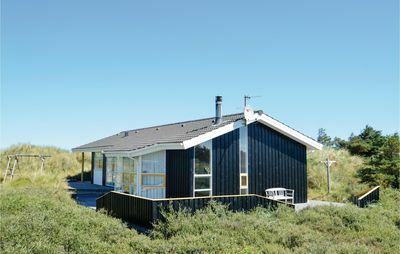 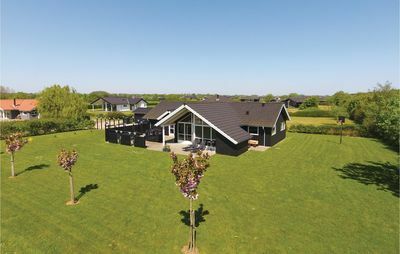 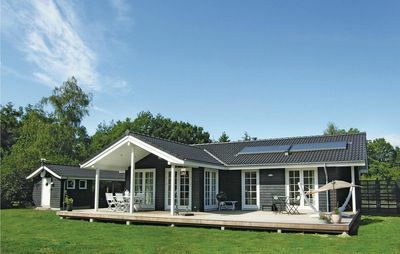 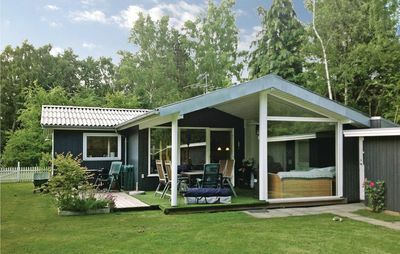 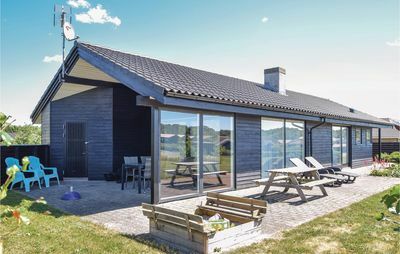 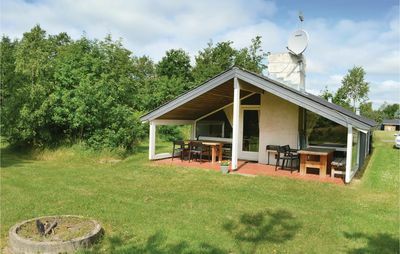 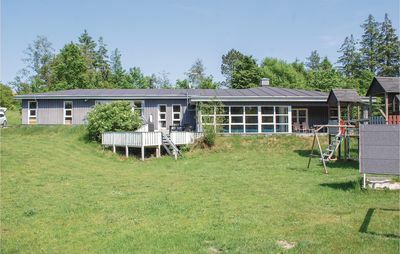 This lovely holiday home with a swimming pool is situated on a partly planted plot in the beautiful area of Kærgården, only 100 m from the Liim Fiord. 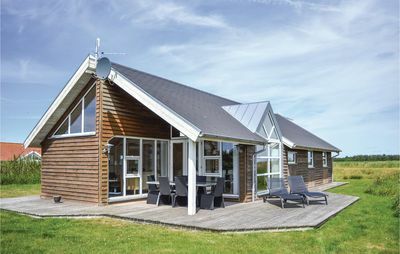 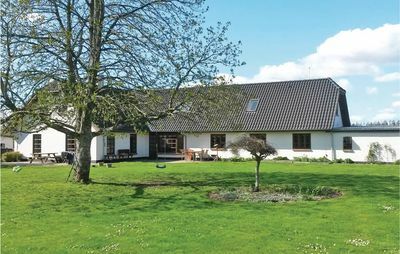 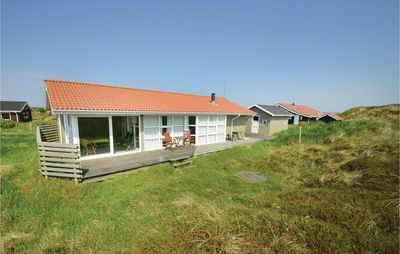 The house has a lovely living room which is facing southwest and has a great view over the fiord to the North Sea. 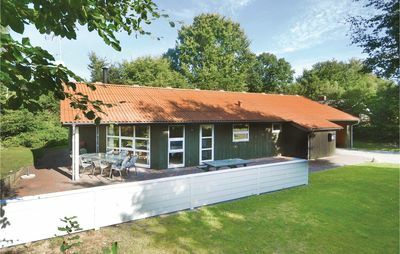 You will find the kitchen division with all technical facilities in connection with the living room. 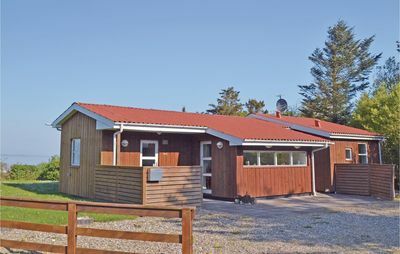 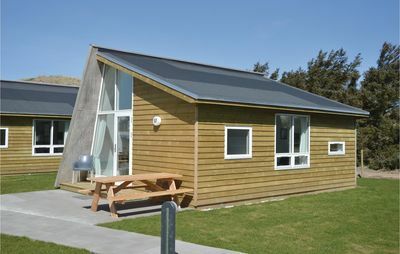 The holiday home is nicely and practically equipped with four bedrooms and two bathrooms with floor heating. 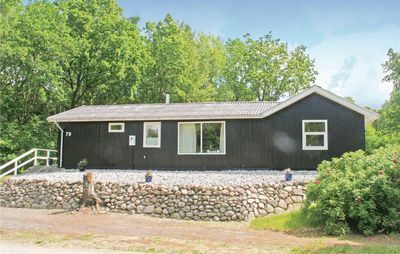 There is also a large and attractive pool room with a 21 m2 large swimming pool, a whirlpool and a bathroom which has access to the sauna. 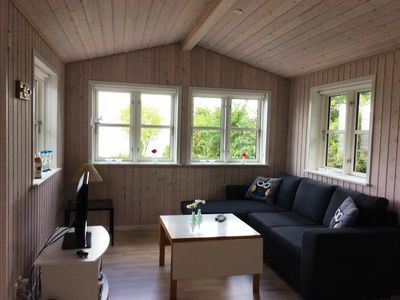 There are sloping ceilings, light walls and oblong floortiles with floor heating in the pool room. 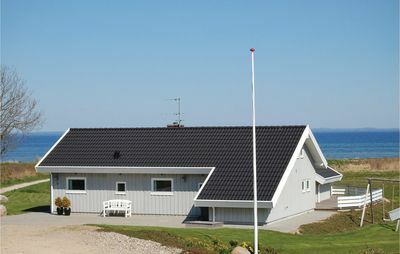 There is a playground nearby. 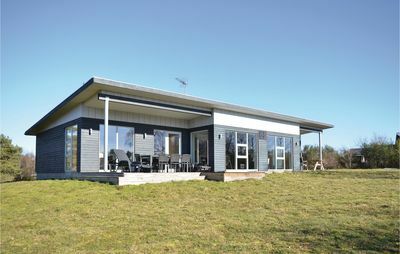 The woodburning stove is to be heated with wood pellets.